The R1000 is designed for converters who need an affordable and reliable salvage rewinder for large OD rolls. The R1000 is capable of rewind diameters of up to 40″ (1000 mm). 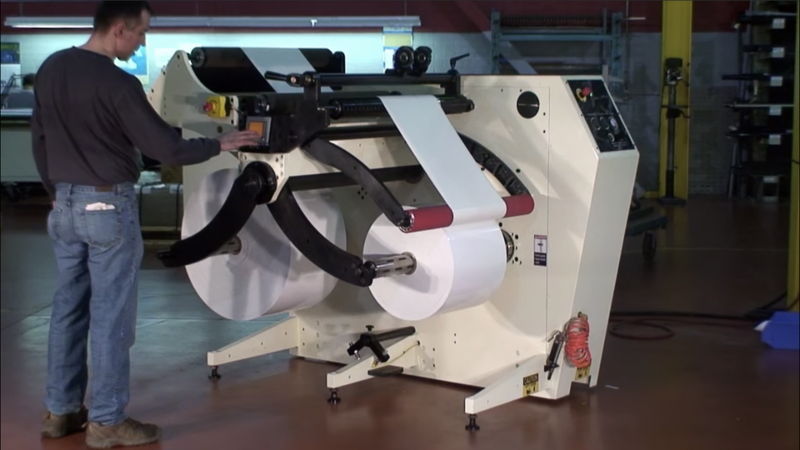 Since the R1000 is fully cantilevered and supported during the run-time, operators are able to perform quick roll changes. 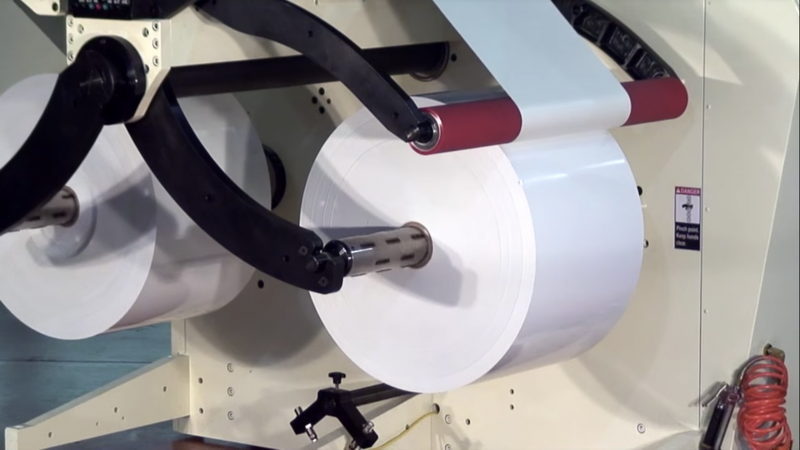 Roll handling systems are also available to facilitate safe and efficient roll loading and unloading. The R1000 features Deacro’s unique sensitive tension control. Web tensions are controlled automatically with fully programmable taper tension for 0-100% for maximum control. 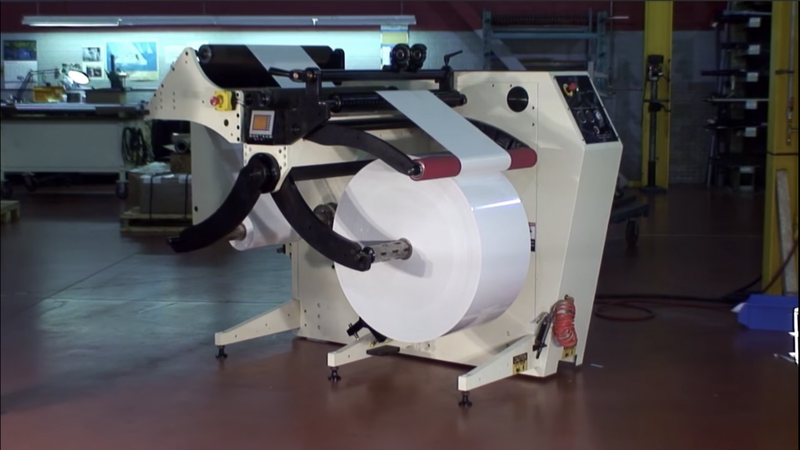 The machine also monitors the diameter of the unwind and rewind roll and adjusts tension accordingly. The reversible R1000 can reduce rewind times by 50-90%. 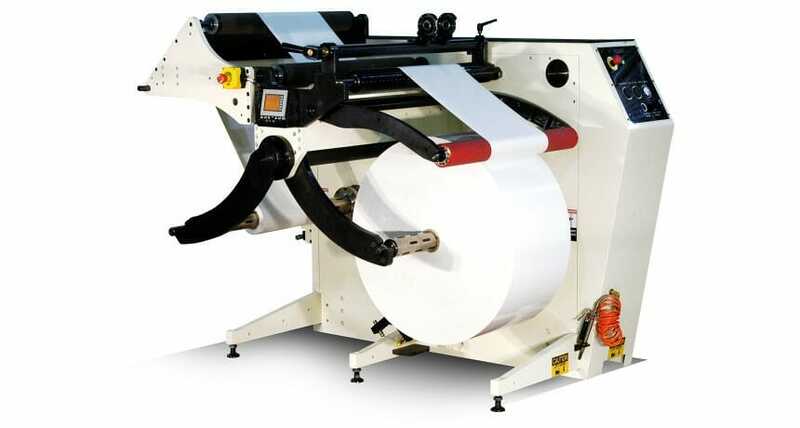 This option also allows operators to orientate the print direction without running the roll more than once.